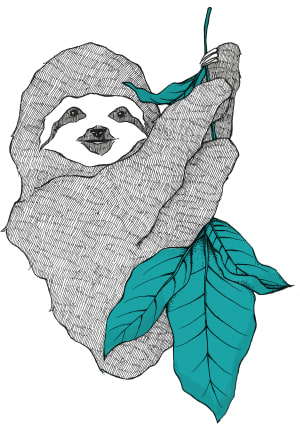 Localizing web application performance problems and response latency could be tricky in the projects with complex infrastructure. And having monitoring for all the services is highly crucial. Sometimes performance degradation might be induced one step ahead of the main application because of the lack of the web server capacity. 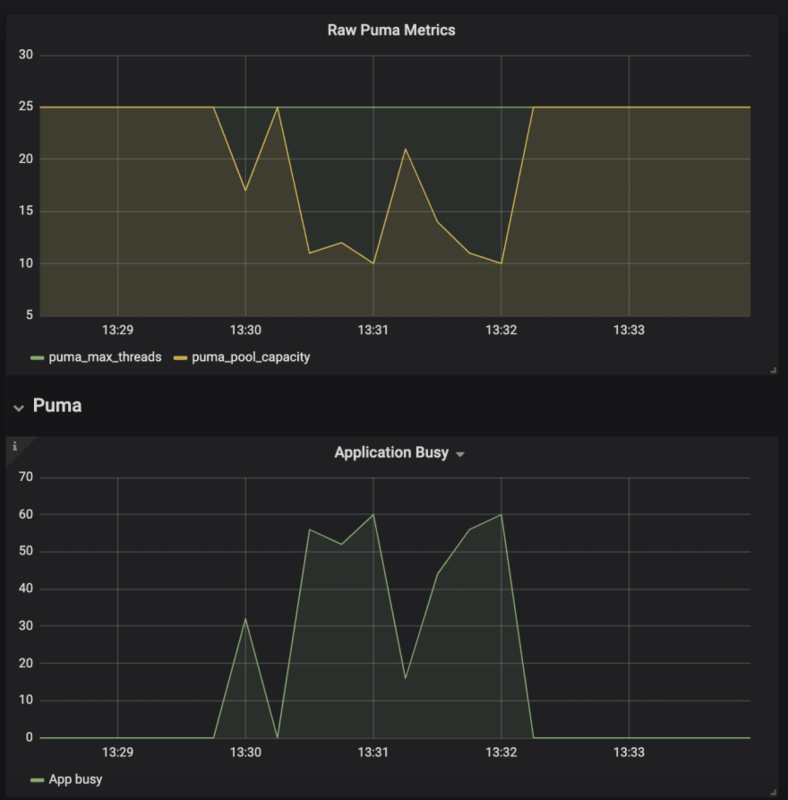 As the most popular web server for running Ruby web applications is Puma, let me explain how to implement and tune up the simple monitoring for it. For serving it, Puma runs the separate web-server instance with the specific rack backend application. The exact answer schema depends on the Puma configuration: when it is in clustered mode (has more than one worker), the output describes each worker. pool_capacity - the number of requests that the server is capable of taking right now. More details are here. 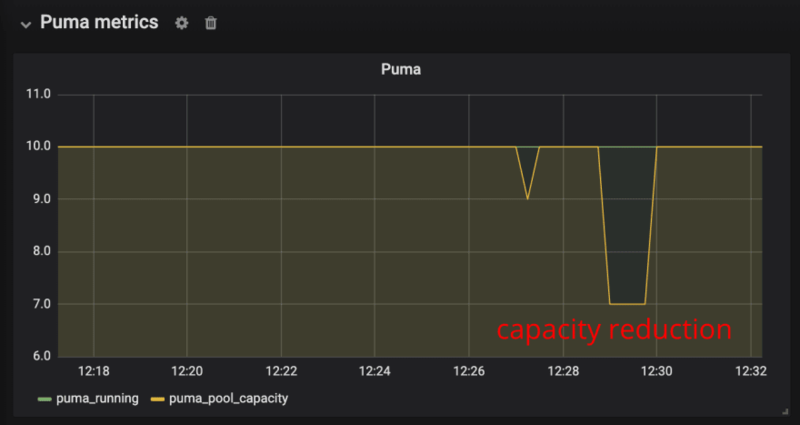 Decreasing pool_capacity means raising the load of the server. It is the starting point of rising the request processing time latency by capacity issues. 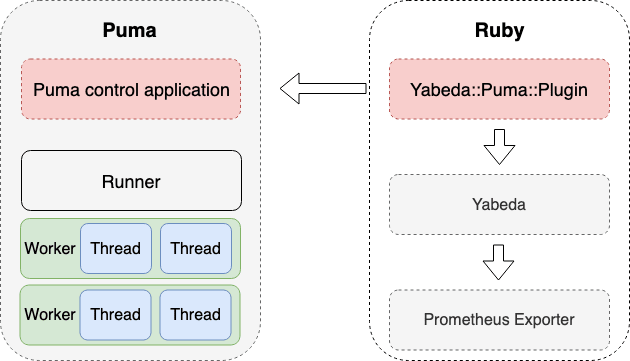 For the Ruby world, we have the extendable framework for collecting and exporting metrics, which is called Yabeda. It provides a simple DSL for describing the metrics and fetching their values with a simple lambda function. For now, Yabeda framework provides solutions for monitoring Rails and Sidekiq out of the box. Monitoring considers periodically storing the metric values for future analysis. And one of the most popular and suitable solutions for that is Prometheus. 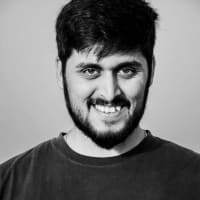 As Prometheus implements the "HTTP pull model," it expects the monitorable subject to expose some endpoint with the metrics value in the specific format. Yabeda framework allows exporting metrics with the help of Prometheus Exporter. Now I am going to introduce one more new monitoring solution of the Yabeda family - puma monitoring plugin. That's it. After the Puma web server start, the plugin will do all the job for collection the metrics. This diagram shows the overall metrics values for all the Puma workers. Also, indicators could be displayed separately for all the workers, or all the Puma cluster instances. The busy-metric looks to be more informative to overview the health of the system. 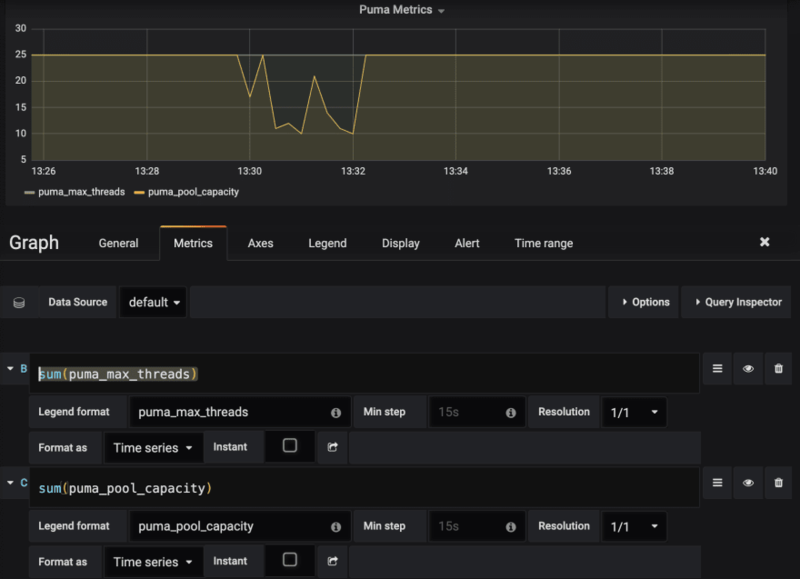 It shows the actual workload of overall Puma cluster in a more friendly way. When busy-metrics sticks up, it means that the application is under high load, and it probably needs to tune up the Puma web server. Busy-metric allows to determine the problem state easily, but for specific incident investigation, raw metrics might be more helpful and advisable. Yabeda framework supply the example project with all the monitoring infrastructure set up for monitoring the Sidekiq, Rails, and Puma. 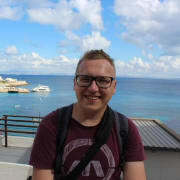 It is easy to set it up with docker-compose. Setting up the monitoring infrastructure makes to build more stable and maintainable software, and sleep calmly at night. Monitoring is made easy with Yabeda framework. Check out the yabeda-puma-plugin for getting ready to monitor Puma!